Congratulations to KAG professional Driver Gary Wienkes! 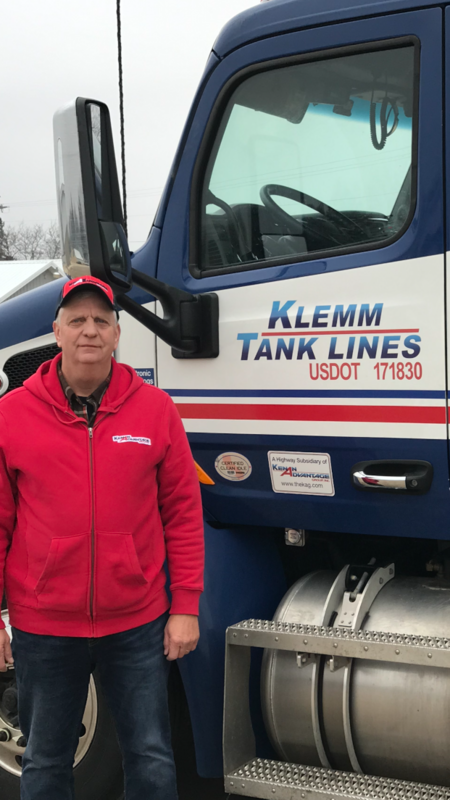 Gary, who drives for KAG’s Klemm Tank Lines, is among three Drivers awarded as Wisconsin Motor Carriers Association’s (WMCA) 4th Quarter Drivers of the Month. The 12 Drivers selected throughout last year will be honored at the WMCA Annual Safety Awards Banquet to be held on Saturday, March 2, 2019 in Wisconsin Dells, WI. Gary has driven 2.25 million miles in his 22-year career as a professional Driver. Good luck, Gary! Our fingers are crossed!